HDL has over 30 years of experience in providing automation solutions to the commercial sector. 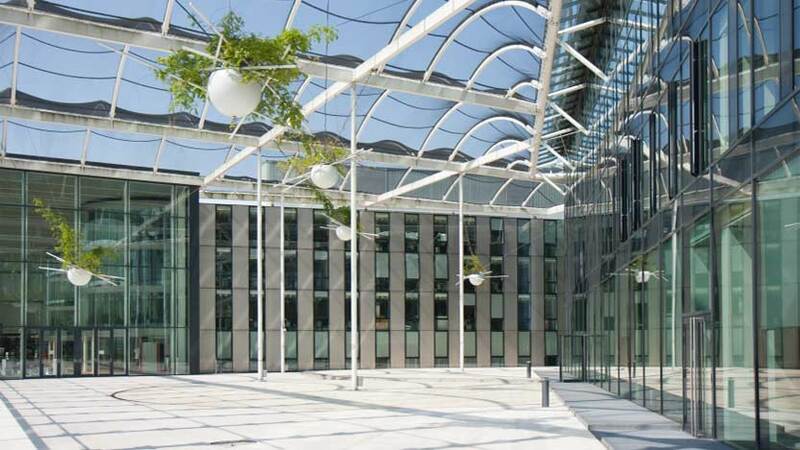 We understand the critical importance of producing efficient and practical solutions which meet the needs of architects, M&E specifiers, energy consultants, and commercial installers. Our energy efficient products and experience is invaluable in providing powerful and cost effective solutions. 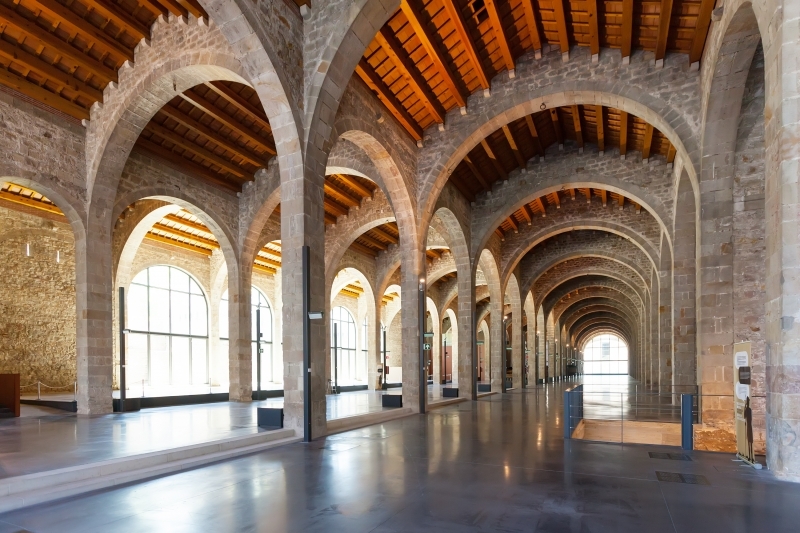 Any commercial building regardless of its scale can take advantage of the unique features offered by HDL automation solutions. 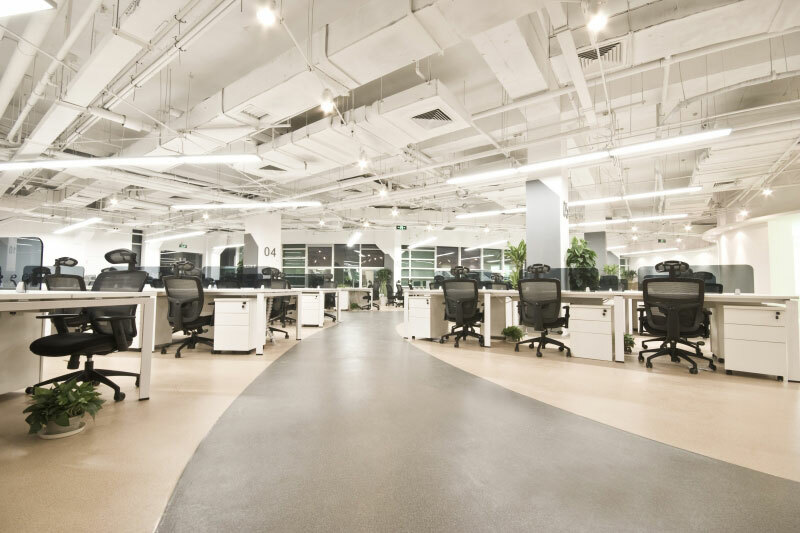 For a commercial building of any type one of the key considerations in the implementation of an automation system is the cost savings that may be achieved. In an average commercial building lighting and HVAC account for around 70% of the total energy consumption. This enormous percentage represents a vast amount of capital, as well as a large detrimental environmental impact. If HDL automation solutions are used in a commercial building energy savings of at least 30% can be made. This would in due course result in substantially reduced operational costs, and enable a considerable reduction in the buildings environmental impact. If a particular area of a building is not in use then automatically the HVAC, and lights will deactivate. If the internal temperature of a building is too low, the HVAC is activated automatically, and the blinds/shutters that face the sun are retracted. A HDL commercial automation solution requires minimal user interaction, to put it simply we make the building management process automatic. When a system is automated is becomes efficient, effective, and faultless. If the system detects an abnormality, it can relay the information to the end-user instantaneously. This can be done via txt message, email, or via an Android or iOS device which can control the entirety of the system. Even though the concept behind a commercial automation solution is one of cost savings, the security solutions that can be implemented should not be overlooked. HDL provides a range of sensor modules that can detect security breaches, and at the same time notify the relevant authorities. From glass break detectors and window sensors, to PIR and ultrasound sensors a HDL solution can provide a building with a total security solution. Take a little time to browse through the examples of commercial automation solutions, if you would like to learn more simply contact us. Large car showrooms need to utilize dynamic lighting in order to best present the cars on sale. Thanks to the experience that HDL has with stage lighting, and our unsurpassed automation systems, we are the clear choice for any type of showroom. 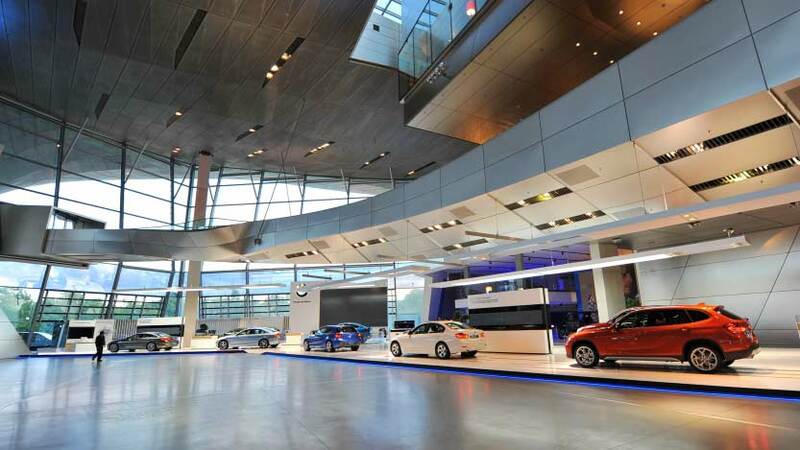 The BMW showroom pictured above made use of over 800 lighting channels enabling total illumination control. Airports require a flexible and adaptable automation solution due not only to their size, but to the complex systems which need to be controlled. 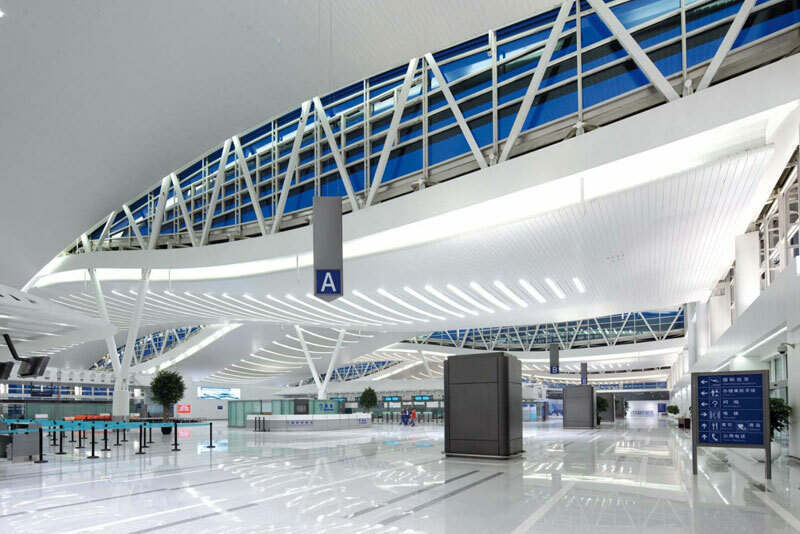 HDL recently completed installing automation solutions for Terminal D in the Boryspil International Airport, the airport now has complete control over lighting, HVAC, and blinds. Common users of HDL commercial automation solutions are schools, collages, and university’s. Both public and private sector institutions have used our technology for superior environmental control, and added security. 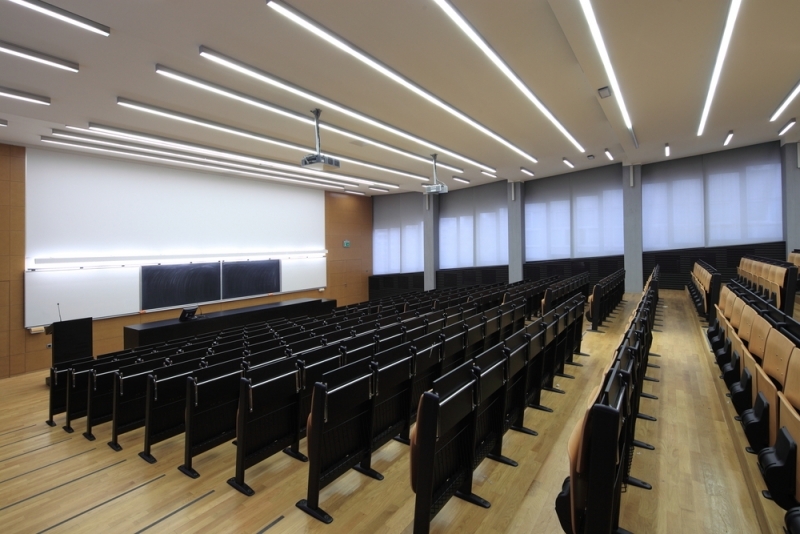 Our latest educational project was the Colegio Nos Nogales in Columbia, the college opted to automate HVAC, lighting, blinds/shutters, and security. A special request they made was for a secure system that teachers could control via their iOS or Android devices, and DLP panels that were tamper proof. We understand that places of worship hold a deep significance for those who are religious. Because of this our dedicated installers will always respect the relevant traditions and practices when completing an installation. The working environment is where many people spend the majority of their day. It is a proven fact that if the office environment is managed effectively, staff well-being and productivity levels will increase. If you haven’t already, take a look at our commercial case studies. Or, if you want to get in touch you can find your local office. If you’re looking to take advantage of a HDL system in your home, you can browse some of the products that are available.